Spills, snow and water tracked in, rain through an open window, pipes bursting, leaky radiators, floods and even over wetting by do-it-yourself carpet cleaners can wet out the backing yarns of carpeting. Followed by slow drying, this wetting will allow dye-like materials to dissolve out of the backing yarns and “wick” to the face of the carpeting. The brown discoloration which forms is usually referred to as a water stain. After a water stain has developed, it may be impossible for even a professional rug cleaner to remove it. Gradual and uniform soiling on the face yarns may cause the stain to go unnoticed until the carpeting is thoroughly cleaned. Once the dirt is removed, the dye-like stains becomes quite apparent. However, water is essential to professional rug cleaning. The professional cleaner knows the proper amount and the conditions under which water can be used on carpeting. 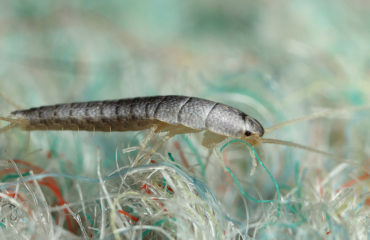 For example, in a modern rug cleaning plant where controlled drying temperatures are possible, it is a safe and normal procedure to use hundreds of gallons of water on a single rug. 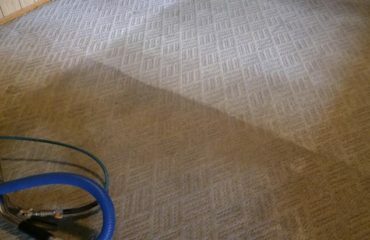 Professionals adjust the amount of cleaning solution, depending on the type of carpet, to avoid water stain problems. Only surface yarns are wet out, which will result in maximum on-location cleaning and prevent water stains from occurring.